PHOENIX – At 11:05 p.m. on Nov. 10, the lights turned off at John D. Riggs Stadium on the campus of Mesa Community College, as they usually do after the Thunderbirds play. But it might have been the final time the stadium goes dark after a junior college football game. Citing financial reasons, the Maricopa County Community College District board last February cut junior college football at its four schools. Then dominoes fell across the state as community colleges in Tucson, Yuma and Thatcher eliminated their teams, citing, in part, the increased travel costs that would be required without the Maricopa County programs to schedule. That left the state with zero junior college football teams. The impact was far-reaching, including prompting 11 MCCCD football players to file suit alleging that the move violates federal law because African-American students, who make up 62 percent of players at the four schools, are disproportionately impacted by it. Attorney Phillip A. Austin, who is representing the plaintiff, will hold a news conference today in his Mesa law office to address the issue. “Not only did the decision negatively impact the Plaintiffs’ educational opportunities but the decision negatively affects educational opportunities for district African-American students at a rate 10 times that of the rate at which non-African-American students in the district are affected,” Austin said in a news release citing “racial bias” about the suit filed Dec. 31 in U.S. District Court in Phoenix. The MCCCD issued a statement in response. The February decision outraged MCCCD coaches, who said they said they were not consulted. They questioned the reasons district officials gave for shuttering programs at Mesa Community College, Scottsdale Community College, Glendale Community College and Phoenix College. “The Monday before signing day, we were told that football was dropped, that we were able to play the 2018 season and after that there would be no more football,” Phoenix College coach Mark Mejia said. The ramifications were many. Pima Community College in Tucson announced in June that it would drop football after the 2018 season. In December, Arizona Western College in Yuma and Eastern Arizona College in Thatcher announced they, too, would eliminate the sport. It would prove costly, they said, to compete only against teams outside Arizona. Supporters of junior college football hope that when Eastern Arizona fell to Jones College in the Mississippi Bowl on Dec. 2, it wasn’t the final junior college football game involving an Arizona team. 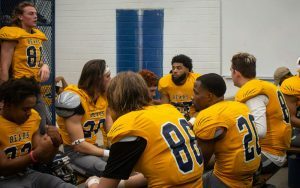 Eastern announced nine days later that it had pulled the plug on its program, leaving Arizona without a single junior college football team for the first time in nearly 100 years. The sport had existed at the junior college level in Maricopa County since Phoenix College began playing in the 1920s. As the end of the season approached, district coaches and players held out hope that the seven-member Maricopa County Community College District Board, with three new members – Marie Sullivan, Tom Nerini and Kathleen Ann Winn – coming aboard, will reconsider the decision. Nerini and Sullivan have expressed a willingness to reopen discussions. Their hope may have some momentum.The board held an impromptu session to challenge the board’s leadership this week and at the meeting, board president Laurin Hendrix stepped down and Linda Thor was elected to replace him by a 4-3 vote. Mesa coach Ryan Felker said the effort to save junior college football is now in a “third-and-12” situation after the board vote. Dropping football was one of the most prevalent issues that arose during her campaign for the district board position, Sullivan said, and one of her reasons for running was to bring transparency to the board’s decision-making. Matt Hasson, MCCCD director of communication and public relations, said dropping football was an administrative decision and the board can only make decisions based on policy. Ultimately, Chancellor Maria Harper-Marinick has the final word on administrative decisions, he said. However, it is the board that is charged with hiring and firing the chancellor of the district. 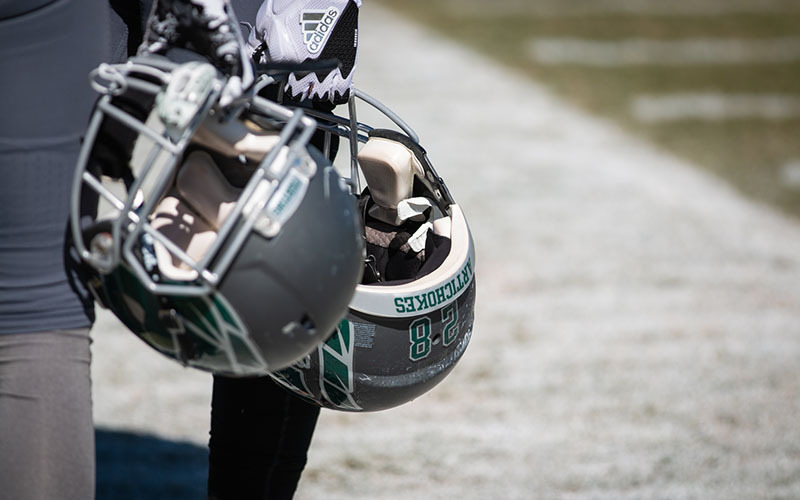 Maintaining football programs has become more difficult for junior colleges. MCCCD Chief Operating Officer Elliott Hibbs said high insurance costs related to football, along with the capital necessary for such expenses as stadium upkeep, are big reasons for the decision to eliminate football programs. And the programs suffered a blow when Gov. Doug Ducey’s budget for fiscal 2016 cost community colleges in Maricopa and Pima counties to lose all state support, which was worth approximately a combined $15.6 million. Hibbs said there was a shift in mindset about utilizing limited funds. According to Hibbs, each college allocates the funding it receives from the district independently. The district does not have oversight into how much money is allocated for athletics at each school. “We basically give the colleges a lump-sum budget that they allocate after that,” Hibbs said. Phoenix College, for example, allocates about $1.4 million to athletics out of its nearly $60 million overall budget. Of that amount, nearly $200,000 goes to football expenses such as coaches salaries, equipment and travel costs. Former Glendale Community College coach Joe Kersting, who won three national championships coaching the Gauchos, believes it would cost less than $1 million in athletic budget costs and insurance costs to keep all four Maricopa County programs afloat, including coaches salaries. Coaches around Maricopa County disagree with the community college district’s decision. They said cutting football will harm athletes coming out of Arizona high schools. Phoenix College linebacker coach Marques Hawkins is an example of the benefits of junior college football programs. He was a talented running back coming out of high school in Tempe, but didn’t have the grades to go directly into a Division I program. He went to both Mesa Community and Phoenix, played football, gained maturity and got his associate’s degree before earning a football scholarship from Illinois State. Players who don’t have the grades to make it into a four-year program out of high school will have to go to California or Texas or other states with JUCO football programs if they want to continue their careers, he said. One of those players that exemplifies the term “student-athlete” is Phoenix College defensive lineman Davyon Duhart, who is also one of the plaintiffs on the lawsuit. Duhart went to Tolleson High School in the southwest part of the Valley. Due to a shoulder injury in high school, Phoenix College offered his only opportunity to continue playing football. Duhart knew 2018 would be the last season of JUCO football in Maricopa County before he joined the team, but he saw the situation as a motivating factor. It forced him to focus and work harder on and off the field this season. Duhart, who was on track to end the year with a 4.0 grade point average, plans to transfer to a four-year university and hopes to continue his football career. One of the biggest challenges the district faced was covering insurance costs. And although Hibbs was not involved in the decision to end football, he noted that the insurance cost for the district was high relative to the number of people it served. Further, he said football has resulted in the largest number of claims to cover player injuries. The district provides insurance for all of its nearly 200,000 students, paying a premium of about $900,000 a year. 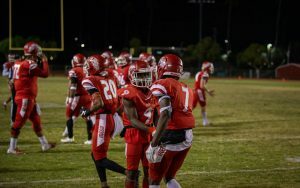 There were about 350 junior college football players in Maricopa County during the 2018 season. According to Hibbs and Matt Hasson, MCCCD director of communication and public relations, football accounted for about 30 percent of the annual insurance costs but made up only 2 percent of the student body. Insurance savings were not the only reason that district officials cited for dropping football. They said it was also part of an effort by the district to focus on workforce readiness at their campuses. Hibbs said the goal of community college is to “give (students) an education in an area where they can go get a quality job when they leave,” and the district’s funding models are changing to reflect that. If there are limited funds, the mindset now is to spend in areas that will benefit the most people. The four Maricopa County schools – Phoenix, Mesa, Glendale and Scottsdale – represent half the Arizona Community College Athletic Conference. Even with a football budget more than twice as high as its Maricopa County competitors, Pima elected to drop football largely because of the added costs to play teams outside of Arizona. Options now are few for players who want to continue their education and football careers in Arizona. Outside of the junior colleges, there are two National Association of Intercollegiate Athletics (NAIA) schools in Arizona — Arizona Christian in Phoenix and Ottawa University in Surprise, no NCAA Division II or Division III schools and three NCAA Division I schools with football programs: Arizona, Arizona State and Northern Arizona. 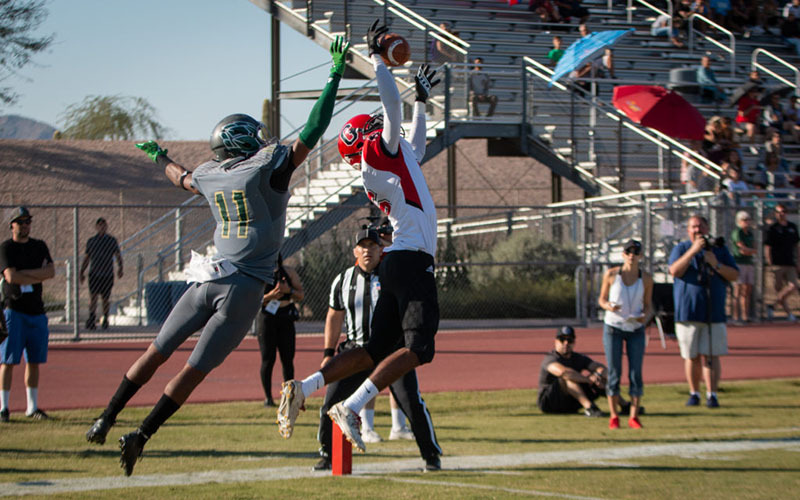 Scottsdale CC sophomore receiver Devin Neal said the end to junior college football cast a pall over the Artichokes’ final season.